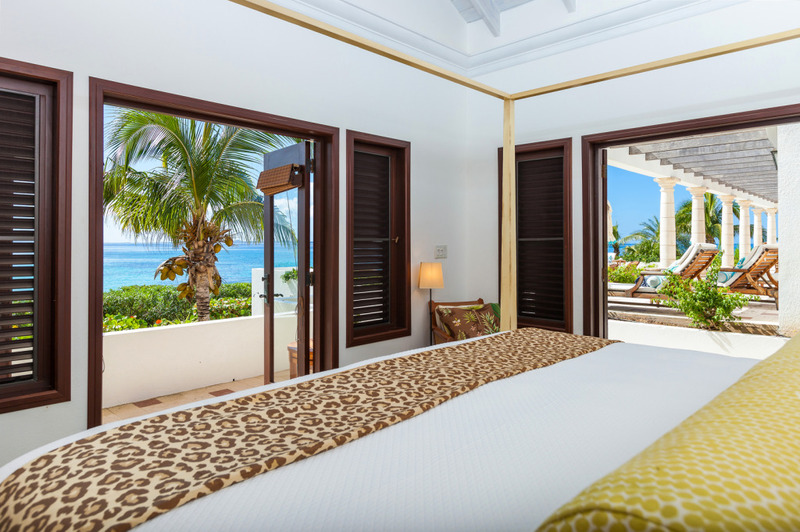 Villa Alegria Anguilla features four elegantly-appointed, master-quality bedrooms. 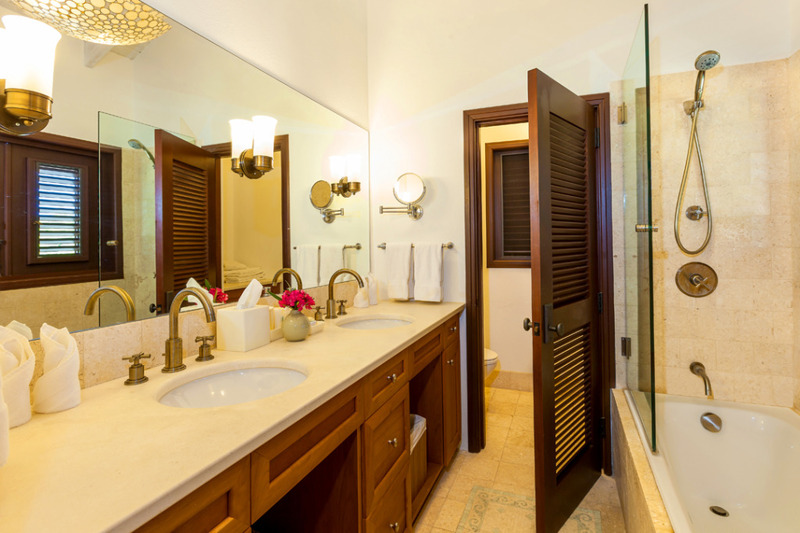 Each bedroom suite has its own private, ensuite bath with various options of indoor and outdoor shower and baths. All are air-conditioned with access to the pool terrace or second floor balconies. 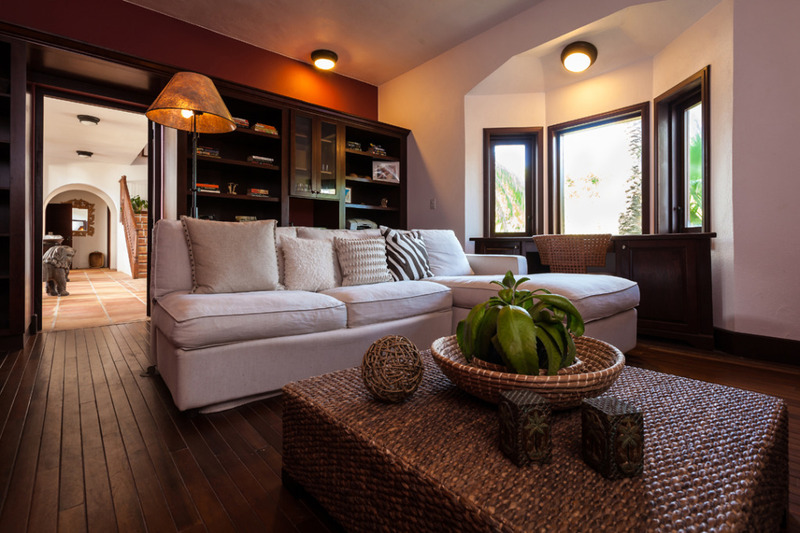 Leave the windows and doors open to the evening and morning views, or close the shutters for more privacy. 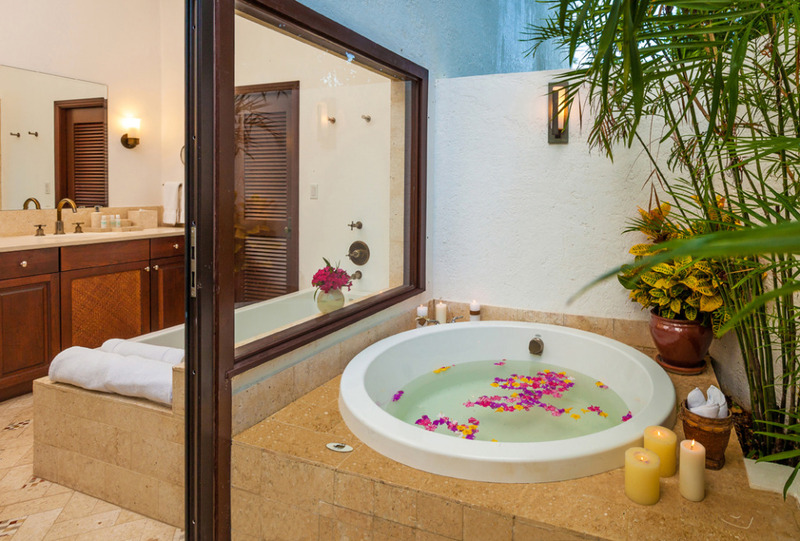 Deluxe King Master – Main floor, ensuite bath with tub, separate shower, outdoor private Jacuzzi, terrace access. 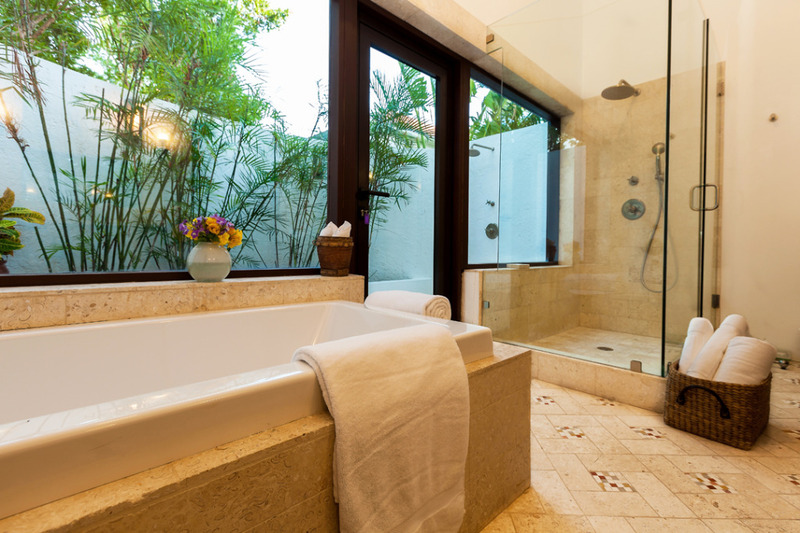 Guest House King Master – Separate building just off the main villa, ensuite bath with shower, outdoor shower, private terrace. 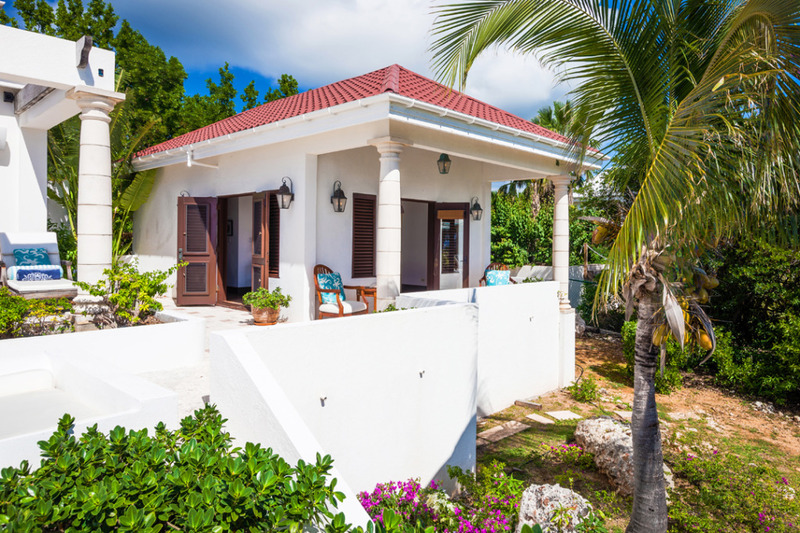 Second Floor King Master – Upstairs, ensuite bath with shower, oceanfront balcony. 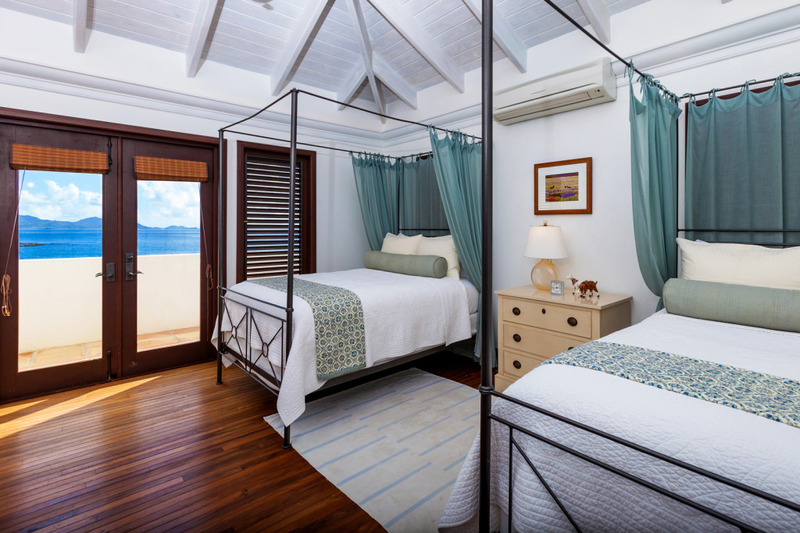 Second Floor Guest Room – Upstairs, two full size beds, ensuite bath with tub/shower combination, oceanfront balcony. Media Room – Main floor, door that closes, queen pull-out sofa bed, half bath nearby. 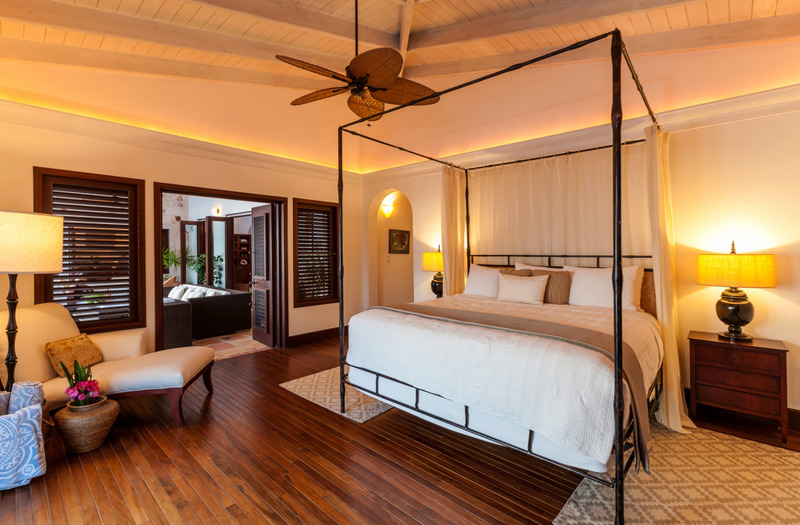 The main floor of the villa features a romantic, Deluxe Master Suite with ensuite bath and double doors that open to the expansive pool terrace and views of the Caribbean Sea and mountains of St. Martin. 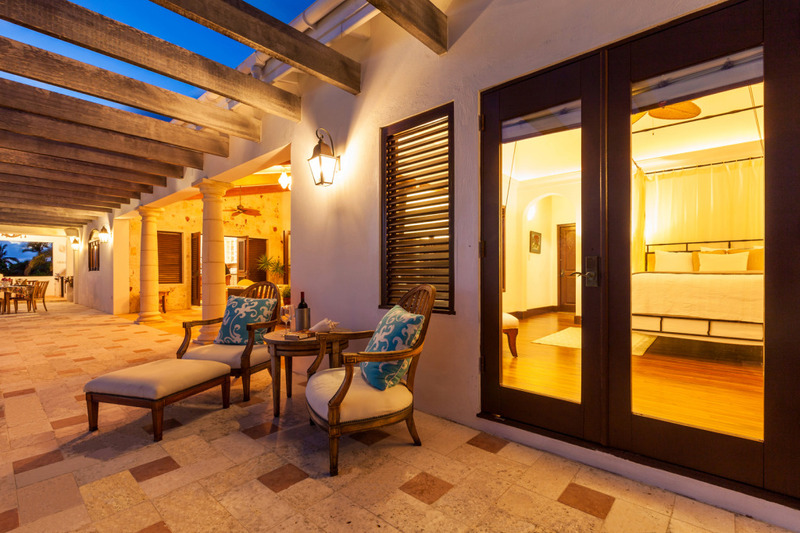 Share a glass of wine or an early morning cup of coffee right outside your bedroom door on the oceanfront terrace. The main floor, Deluxe Master Bedroom Suite includes an ensuite bath with separate shower, indoor tub and private, outdoor Jacuzzi. 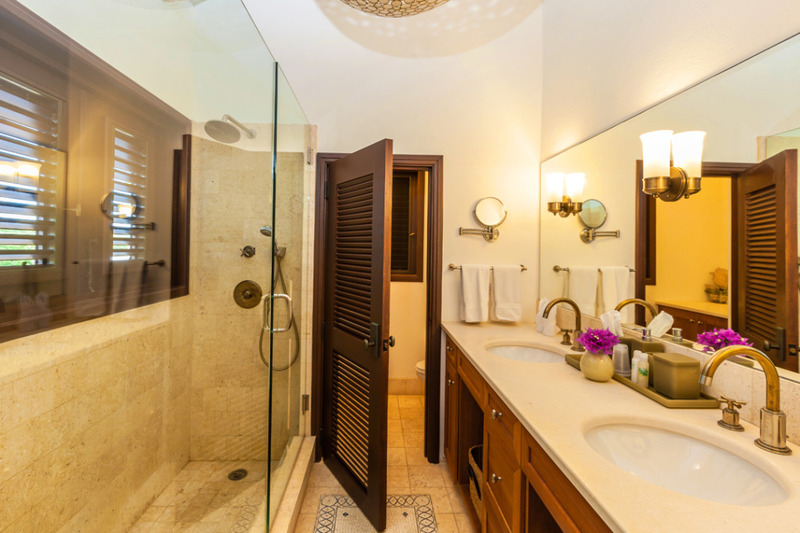 The Deluxe Master Bath has a private outdoor Jacuzzi. 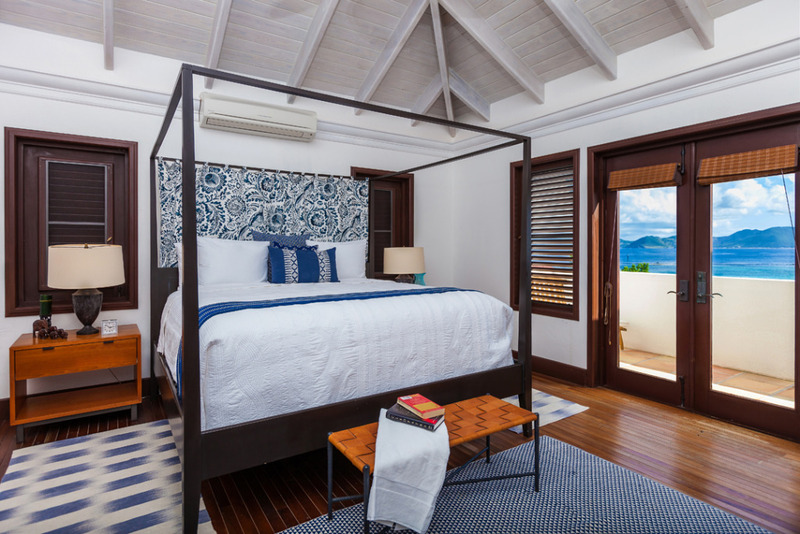 Tucked away on its own just off the main part of the villa is a private Guest House Master Bedroom Suite. 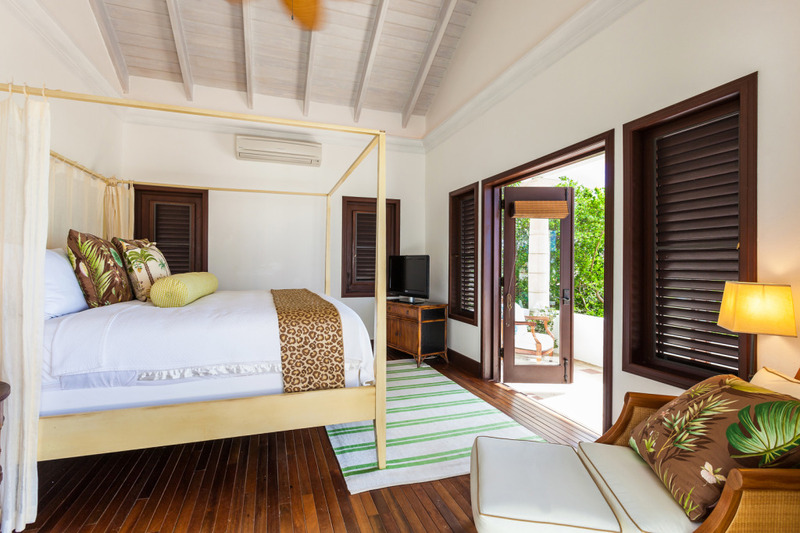 The Guest House Master Suite has king bed, ensuite bath with indoor and outdoor shower, private terrace and ocean views. Privacy and comfort. Fall asleep watching the stars. On the second floor there is another Master Bedroom Suite with king bed and doors to the oceanfront balcony. 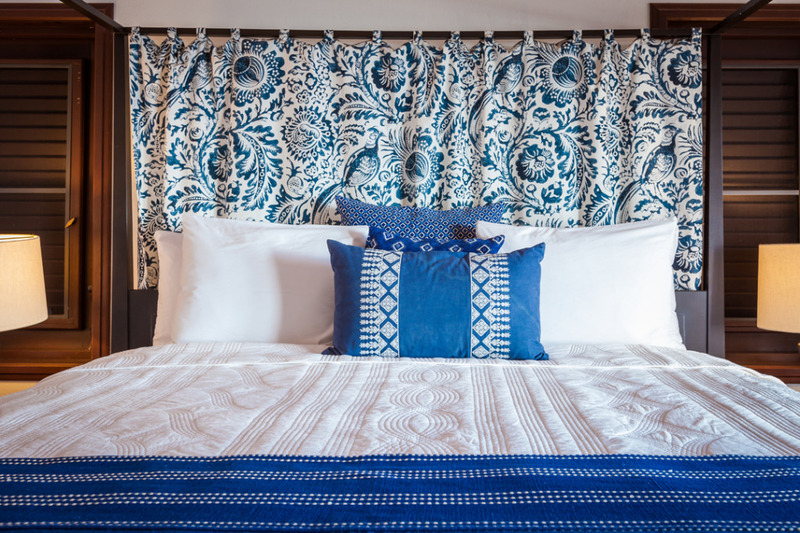 Sink into the luxurious bedding after a day in the sun and sea. The Second Floor Master Suite has an ensuite bath with shower. 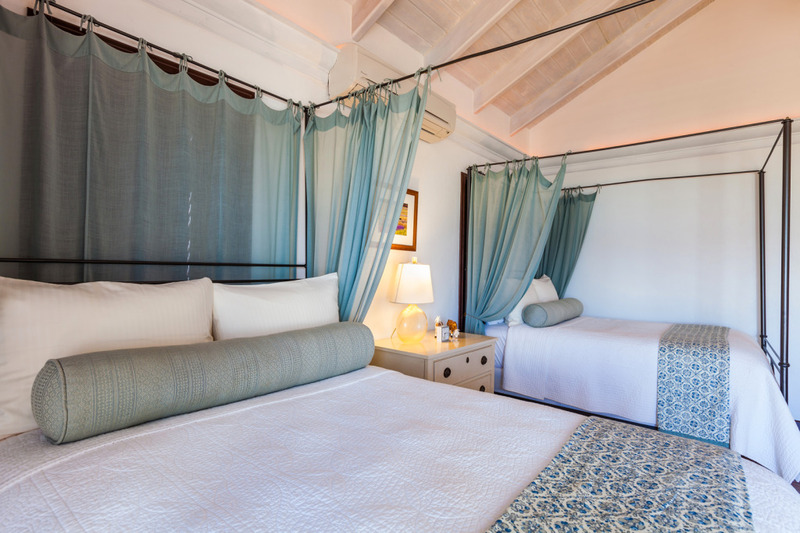 Also on the second floor is a Guest Bedroom Suite with two full-size beds and doors to the oceanfront balcony. This suite is ideal for children or adults of any age. The Guest Bedroom Suite includes an ensuite bath with tub/shower combination. The main floor Media Room has a door that shuts, a half-bath nearby and a comfortable pull-out sofabed. It can be used as a convenient 5th bedroom. Cribs and roll-aways can also be arranged.